UPDATE: Relax, the 25 February deadline has fallen away! Since publication of this article on 1 February, the Chief Registrar of Deeds has advised that “… the Deeds Registries Regulations Board at a meeting on 19 February 2019, resolved to suspend the implementation of the amendments to regulation 68, as referred to above, until further notice.” The amendments as they affect you will now be re-drafted, and we will let you know more when they are published. You sell your house/apartment/office/factory/plot of land. You instruct your conveyancer to pass transfer to the buyer, and start dreaming of what you will do with the proceeds. You can’t find it. The bank doesn’t have it (bondholders normally insist on keeping the title deeds of properties bonded to them as a security measure, at least until the loan is repaid in full and the bond cancelled). You didn’t leave it with your lawyer for safekeeping (perhaps you should have). You search high and low both at home and in the office, to no avail. Your spouse has a vague memory that you may have left it with Uncle Festus to lock away in his vault; but Uncle F died 10 years ago and his house and all his worldly goods are long gone. Or perhaps it was stored in your holiday home and went up in smoke (literally) in that bush fire in ’93? Panic! Relax. There is – for a short while longer anyway – a quick and cost-effective remedy. Have your lawyer apply for a certified copy of the Title Deed. All you need to do is attest to an affidavit, say that a “diligent search” has failed to locate the title deed, and confirm that it isn’t pledged or held as security by anyone. All being well, a few weeks and a reasonable legal fee later, the Deeds Office issues a certified copy of the title deed and the transfer proceeds. Your affidavit now has to be “attested by a notary public”. A Notary Public is a specialised attorney who “notarises” documents in a formal recording and certification process that carries more weight than would attach to a normal affidavit signed before a Commissioner of Oaths. That translates into extra cost and delay. Your application must now be advertised in the Government Gazette, and for 2 weeks after publication must lie open for inspection by the public at the Deeds Registry. Again, that’s more cost. And a lot more delay. 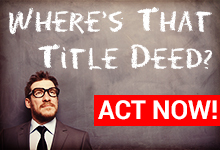 If you own property, and whether or not you have thoughts of selling in the near future, this is a great time to confirm that you know where your original title deed is. If you can’t find it, ask your lawyer for help. If you are buying property, forward this to the seller or estate agent with a request that they confirm possession of the title deed or act to replace it immediately. If you are an agent, do the same – forward this to everyone with a property on your books (you’re doing them a favour as well as yourself). The new Regulations apply equally to lost mortgage bonds, notarial bonds, registered leases, holders of real rights etc, so what is said above applies equally to you. These new requirements kick in on 25 February, so your window of opportunity here is a narrow one. With the new School Year now well under way, let’s have a look at a recent court decision of interest to all schools, parents and learners. Importantly, this case involves not a state-controlled public school but a private school (private schools being recognised in our national schooling system as “independent schools”). The parent contract between a private school and the parents of two learners (aged 9 and 11) included a termination clause, invoked by the school against the parents following “... a sorry tale of misconduct on their part spanning eight months....” which “... created a toxic and intolerable atmosphere.” The clause gave the school “the right to cancel this Contract at any time, for any reason…” on one term’s notice. Effectively, the learners were expelled from the school because of a series of (alleged) incidents, mostly involving the father at school sporting matches. He was, for example, alleged to have shouted abuse at the umpire in an Under-9 cricket match after disagreeing with an LBW decision against his son, and then to have approached the umpire with a cricket-bat in his hand, saying: ‘you fat . . . (expletive omitted), you don’t respect parents’, and threatened to wait for him after the match and kill him. The parents failed in their bid to have the High Court set aside the contract’s cancellation. They lost again on appeal to the Supreme Court of Appeal (SCA), which rejected their attempts to have the termination clause declared unconstitutional and contrary to public policy. Critically, the Court accepted that the school in terminating the contract had applied the principle “that the best interests of the children is paramount in whatever it does”. Our courts always prioritise a child’s best interests in any matter before them, and schools should ensure that their parent contracts, policies and actions are all fully compliant with that principle. 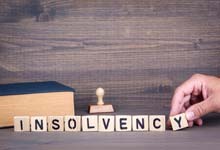 You are owed money by a debtor, whose “insolvent estate” is “sequestrated” (in the case of an individual or trust) or “liquidated” (in the case of a company or other corporate). The Master of the High Court appoints a “trustee” (in the case of a sequestration), or a “liquidator” (in the case of a liquidation) to sell all the debtor’s assets and to distribute the sale proceeds between proved creditors. When you learn of your debtor’s sequestration/liquidation, ensure firstly that the trustee/liquidator knows that you are a creditor so that you receive reports on the financial position of the estate and on progress towards its finalisation. You will have an opportunity to lodge and prove your claim in the sequestration/liquidation, which you do by completing a formal “claim form” for proof at a meeting of creditors. The question is – should you prove your claim or shouldn’t you? Note: For simplicity we’ll refer below only to “insolvent estate”, “sequestration” and “trustee”, but the principles apply equally to corporate liquidations. If you don’t prove your claim as above, you won’t receive any dividend and will effectively have to write off your debt entirely. When the costs of sequestration of an insolvent estate exceed the funds in the estate available to pay them, the trustee of the estate recovers a “contribution” from proved creditors to cover those costs. In that case you as a proved creditor risk adding insult (having to pay a contribution into the estate) to injury (having to write off your original debt). That’s why, as a creditor, you should be very wary of formally proving your claim against an estate until you are satisfied that no danger of contribution exists. 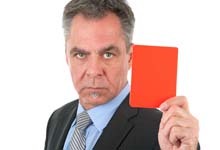 Now the rub here for the “petitioning creditor” (the creditor who applied for the debtor’s sequestration in the first place) is this – whether or not you formally prove your claim in the estate, you must still contribute to the shortfall. That’s why, although applying for sequestration can be an excellent way of recovering debt from a recalcitrant debtor, it is essential to consider the danger of contribution before making any such application. What if you hold security for your claim? Note that we are only talking here about holding security over a debtor’s asset/s. If you hold outside security – a surety from a company director for example – you can recover that separately, entirely outside the sequestration/liquidation process. If you hold some form of security for your claim, like a mortgage bond over the debtor’s property for example, you are a “secured creditor”. You need to prove your secured claim to be awarded the net proceeds of the property. In practice the trustee sells the “encumbered” property, pays out of the proceeds all costs directly related to that property – maintaining it, selling it, paying rates and taxes to pass transfer, the trustee’s fees and so on – and then pays out the balance to you as secured creditor in an “encumbered asset account”. On the other hand the proceeds of all unencumbered assets fall into the “free residue” account, and if after being paid your secured dividend as above there is still a shortfall on your claim, that shortfall ranks in the free residue as a “concurrent” claim. And that’s where your danger comes in – you are now in line to pay a contribution based on the concurrent portion of your claim. The good news is that you can largely protect yourself from having to contribute by “relying on the proceeds of your security” in satisfaction of your claim. That means you waive your concurrent claim for any shortfall, but equally by removing your shortfall claim from the free residue account you no longer contribute together with other proved (or petitioning) creditors. In some very restricted circumstances even relying on your security won’t protect you from a contribution (for example when no one else has proved claims or other contributors are unable to pay their share), but relying on your security is the best protection you have. Note that there are grey areas in some of these provisions, so there is no substitute to asking your lawyer for advice on your specific circumstances. Note: If you earn over R22k p.m. (the subsidy threshold) or aren’t personally in the market for a house in the “affordable housing” bracket, please think of forwarding this article to someone who might be – perhaps a relative, friend, colleague or employee. You could be helping them take that important first step onto the property ladder! Unless you already own your own house, our current buyer’s market – while it lasts – could be your golden opportunity to find one at a reasonable price. But affordability isn’t what it used to be, and you should take advantage of any help you can get. That’s where FLISP, government’s “Finance Linked Individual Subsidy Programme”, comes into the picture – if you qualify. The subsidy allows you to bring down your home loan instalment to an affordable level, by reducing your bond amount or increasing the cash component of the purchase price. You can buy new or old residential property, or you can build on a vacant plot. You must earn between R3,501 and R22,000 per month. Perhaps you are an employee, dreaming of starting up your own business. Or an entrepreneur looking to leverage your practical experience into another successful start-up. Or perhaps you are the CEO of a multinational planning to launch a new venture. Small business or big, here’s a quick, practical read for you covering “what many spend fortunes hoping to learn in business schools” in a few bullet points. 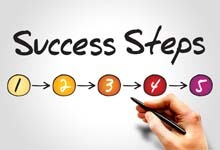 “Johann Rupert’s 5 steps to business success” on Moneyweb is a short and insightful summary of the multi-billionaire’s recipe for successfully launching your new business or venture.